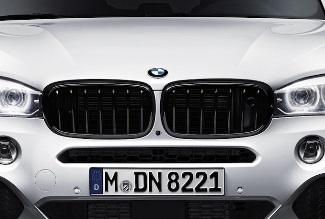 Add a unique touch to your boring front end with the help of these Gloss Black Grilles! Tired of that boring stock front end??? Whether you are going for a high contrast look "pop" or an aggressive, blacked out look, these grilles are sure to impress. These grilles are genuine BMW M Performance parts. Not for vehicles with nightvision.